Dangers of sugar are well known that most people think that anything “sweet” is really bad for the body. White sugar is really harmful to the body, however, nature offers natural sugars which are found in root vegetables, fruits and honey. Honey is a sweet liquid that is produced by honey bees. Honey bees gather honey from the nectar of the flowers and through the process of regurgitation and evaporation. Benefits of honey are so many that it is being used around the world. Here are some common honey benefits. Based on the report of National Honey Board, honey has small amounts of very different minerals and vitamins. 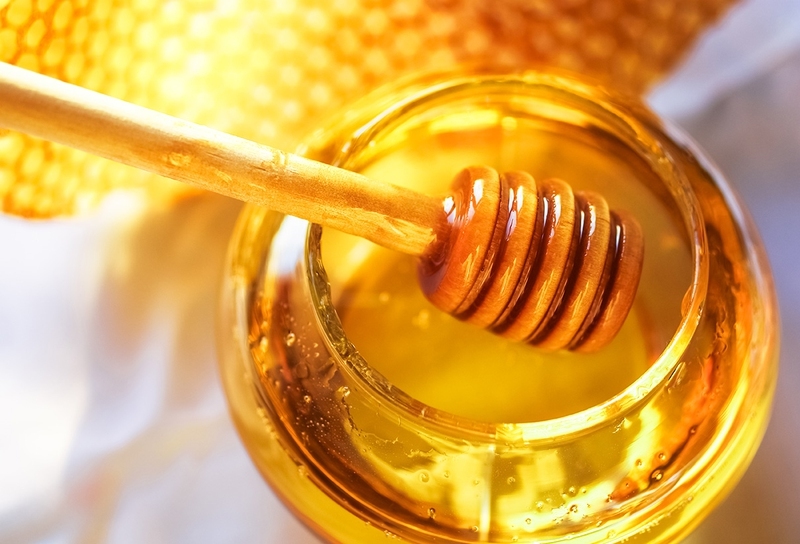 Honey contains niacin, pantothenic acid, copper, calcium, riboflavin and iron. Likewise, it has magnesium, phosphorus, manganese, zinc and potassium which are essential for the body. Using honey is a better alternative than using sugar since it provides more nutrients for your body. People suffering with indigestion can enjoy benefits of honey. Honey has antiseptic properties which can relieve acidity present in the stomach. Honey can also neutralize gas, making honey as the ultimate stomach soother especially for those who have overeaten. To prepare it, take 1-2 tbsp. of honey before eating heavy meals to prevent indigestion. If you are already suffering with indigestion, mix lemon and honey in warm water to aid in moving food through the digestive tract. Drinking honey water with lemon on an empty stomach every morning is a good way to detoxify. Taking this on a daily basis is effective in cleansing the liver, eliminating toxins and purging fat out of your system. For best results, mix 1 tbsp. of honey and 1 lemon juice to warm water every morning, consume this before you have your breakfast. You can also drink this mixture at the end of your day. One of the benefits of honey is its effectiveness in treating wounds. Some honeys like Medihoney and Norwegian Forest Honey have all properties to kill all strains of bacteria that are present in wounds. In a study, 59 patients that were suffering from leg ulcers and wounds and 80% did not heal with conventional treatment have improvement after receiving treatment of honey. In a study, patients with dandruff and seborrheic dermatitis were asked to apply honey added with some warm water. Participants were asked to let the honey stay on the scalp for at least 3 hours before washing with warm water. In all the participants, scaling and itchiness were gone within a week. Likewise, skin lesions were all healed within the 2 week period. 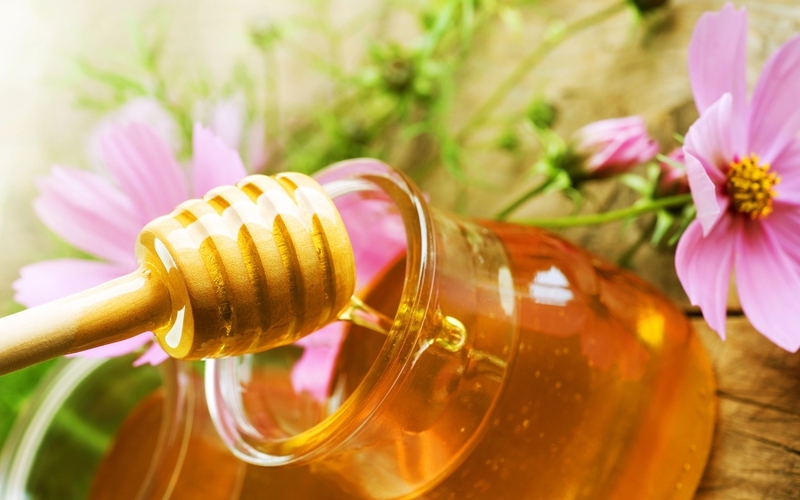 Additional benefits of honey are its properties that are good for the skin. Honey has antifungal and anti-microbial propertie, making it as an ultimate organic skin care brand. Get some organic and raw honey, apply it directly to skin blemishes. Let the skin absorb honey for a night. Rinse it in the morning and keep using it regularly, you will enjoy a clear skin. Honey is also effective for ringworm, psoriasis and eczema. Natural sugars from honey are a good source of energies and calories for your body. In addition, you can use honey as an energy booster which can also fight against cravings for sweet. Honey also has anti-fatigue properties which is a better option than reaching for coffee, chocolates and cakes. Organic honey is rich with minerals, enzymes and vitamins which guard your body against bacteria and boost the immune system. Flu symptoms like coughs, sore throats, congestion as well as colds are all kept at bay when honey is consumed. To boost immune system, mix 1-2 tbsp. of honey to warm water every day. For additional boost, add fresh lemon juice and some dash of cinnamon. Honey is very promising and cheap way to prevent low white blood cells that occur due to chemotherapy. In a trial, 40% of cancer patients who were at risk of neutropenia did not had the episode of low white blood cell after taking 2 tsp. of honey during the chemotherapy. Cinnamon with honey has been shown to strengthen the arteries as well as the veins of the heart. Honey can also reduce cholesterol present in the blood by 10%. If you take cinnamon and honey mixture regularly, it can lessen the risk of heart attacks and may prevent a new one from occurring if you previously suffered one. To make it, mix 1-2 tbsp. of honey with 1/3 tsp. of cinnamon with warm water. Drink the mixture every day.